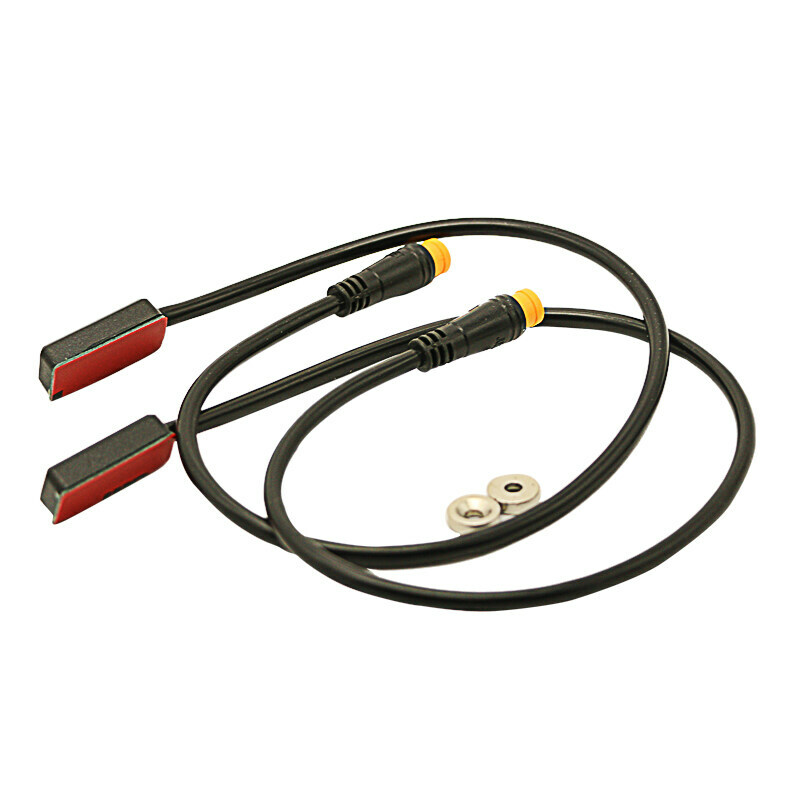 MS-BK-2R is a new type of brake power-off products. It has a small size, easy installation, wide application and so on. Applicable to hydraulic brake, disc brake, V brake, drum brake and roller brake of any kind of brake in the form of electric bicycle modified. The mounting position is located at the brake. Magnet should be attached to the brake parts on the moving parts, paste the position as close as possible to the brake fixed part. 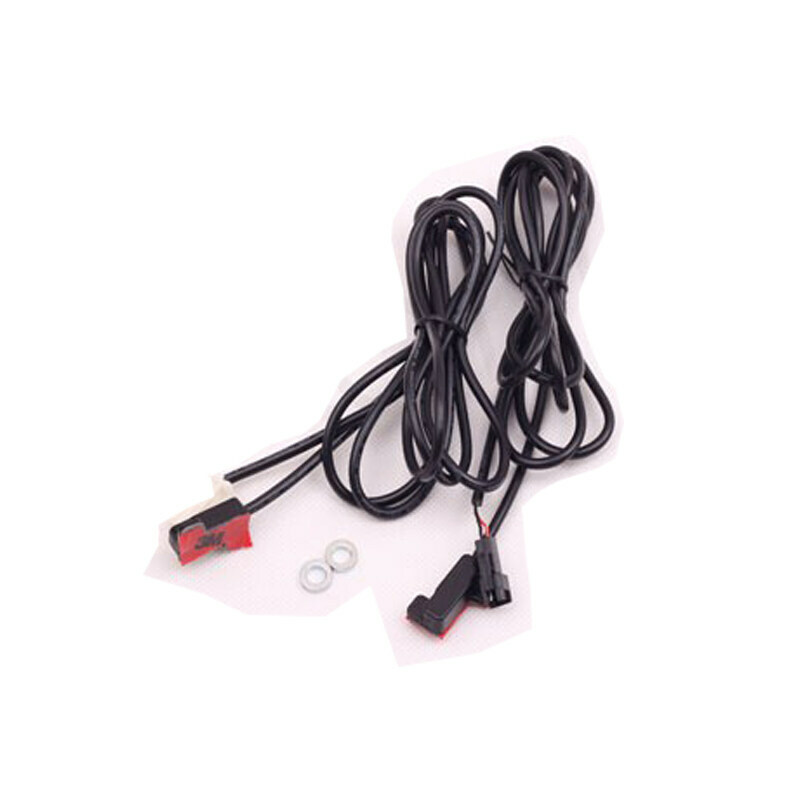 The switch leads to the multimeter and the black and white, the multimeter switches to the resistance, and the breaker device moves back and forth on the fixed part of the brake to find the critical position to change the resistance from "∞" to "0". 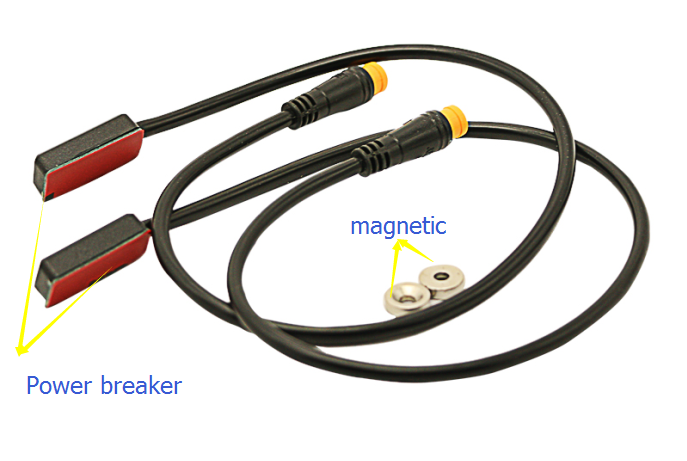 Knead the brakes, observe whether the resistance from "0" jump to "∞", release the brakes, observe whether the resistance from "∞" back to "0", if it is, the location of the breaker device to determine. A. The above description is the action state for the conventional NC power brake. 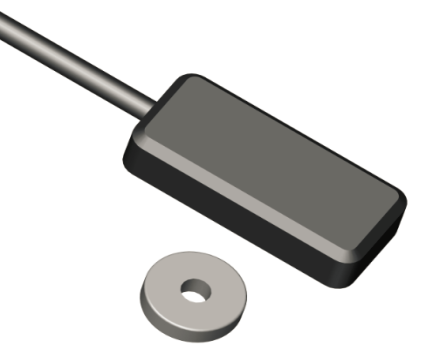 The switch is attached to the position defined on the brake fastening member and connected to the controller.